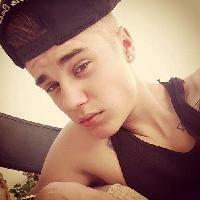 Here s another selfie from Justin Bieber just in case the first one wasn t enough to sufficiently satisfy you. The Baby singer has now done a roast, which gave celebrities like Ludacris, Will Ferrell, Shaq, Kevin Hart, and even Martha Stewart a chance to rip him to shreds with witty one-liners. 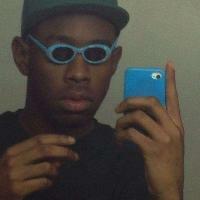 Tyler, The Creator is known for being a bit of a wacky dude, and to expect a normal selfie from him would be misinformed. Also, to expect him to wear normal sunglasses would be misinformed too. He generally prefers to go for these ones. You know how some mornings you look in the bathroom mirror and look fantastic, and other days you don t? 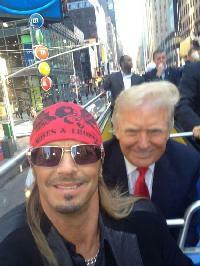 It seems that neither of these two celebrities were having a good look day when they bumped into each other on this tourism bus and snapped a quick selfie. 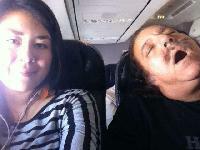 Ron Jeremy must have been exhausted from boning thousands of beautiful women in front of the camera for the last few years, because he s out cold on this flight while a fan snapped a selfie with him. 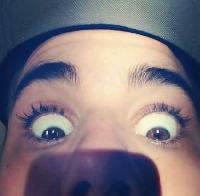 Okay fine, we ll give you ONE MORE stupid selfie starring Justin Bieber. Did you realize his eyes could get this wide? That s just about the only thing left that fans might not have known about their beloved pop star Justin Bieber. Conan O Brien seems to have more bad looking photos than good ones floating around the Internet these days, and here is one he took with comedian Paul Rudd, who looks like he s still brandishing his Brian Fantanna moustache from Anchorman or Anchorman 2. 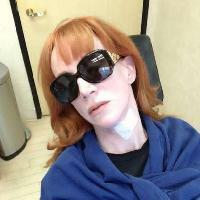 This selfie is actually more attractive than most pictures you see of Lindsay Lohan from the last couple of years, and there are plenty of other images I d be embarrassed of before this one if I were here. In fact, she looks pretty here. 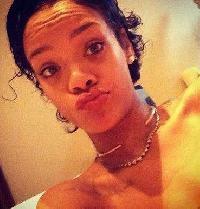 If you re looking for an ugly picture of Rihanna, this is pretty much the only one you re gonna find. Well okay, you might find a couple from her little run in with Chris Brown but other than that, she always looks stunning and gorgeous. You d be hard-pressed to find a picture of Shane Warne that ISN T embarrassing, but perhaps this one of the more extreme examples. That being said, the joke is on us because Elizabeth Hurley is the one who left those kisses all over his body.